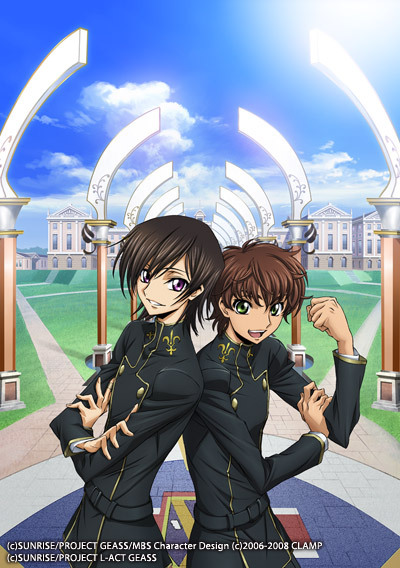 The two main characters of the original CLAMP story about Lelouch vi Britannia (Lamperouge) and his best friend Suzaku has been a true shock to the otaku world… in a positive way. There is hardly anything that can even be compared with the success and great achievements of Code Geass. It is no wonder that the story is getting its very own stage play cover. Naturally, it is a thing that is often realized in the Japanese entertainment business. There is nothing less surprising than such a big show to be getting a stage play. Anyway, today’s next news is that Suzaku and Lelouch have been photo-ed in their costumes, as they will appear in the play. The images can be seen below as well as some additional information! Oh, my… Pleased to see you like the cast, or are you just expressing your views on the CLAMP character?